Chemical skin peeling involves an application of a chemical solution to sun-damaged, unevenly pigmented or finely wrinkled areas of the face. The procedure diminishes imperfections by peeling away the skin’s top layers. Chemical peels rejuvenate the skin of the face, neck and body, improving fine wrinkles, blemishes, uneven skin tone and scarring caused by acne. Chemical peels accomplish this by exfoliating the superficial dead skin layers and stimulating collagen production. 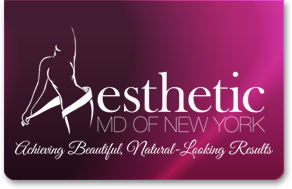 Superficial and medium-depth peels can be performed. No sedation or anesthetic is required. There is no blue discoloration following the peel as with other techniques. The procedure takes approximately 20 to 30 minutes. Flaking or peeling will occur for several days following the peel. Patients may prefer a series of several light peels to achieve their desired results, thereby eliminating any downtime. There are a wide variety of peels available, each with its own unique benefits. Dr. Adler will help you decide which one is best for you.